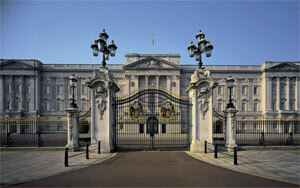 Are you interested in castles or palaces - do not miss Buckingham Palace. 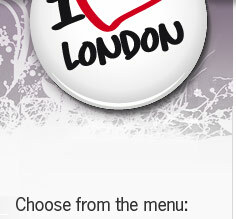 It is located in London's city center and it is easy to walk here if you're on the go. On this site there formerly stood several houses before it became the British monarch's official resident. The palace has forebodings from the 1700s. On the site where Buckingham Palace now is located was during the medieval times part of the Manor of Ebury. Before the castle was built, there were a few houses in the same place, Blake House, Goring House and Arlington House. In 1703 a large private residence was built for "the Duke of Buckingham". In 1762 King George III had it as his private residence. It was not until 1837 that it became the monarch's official resident. It was in 1837 when Queen Victoria got crowned Queen of England. Buckingham Palace consists of about 19 representation rooms, 52 principal bedrooms, 92 offices, 188 staff bedrooms and 78 bathrooms. The Palace was expanded continuously after King George III moved into the Palace in the late 1700s. The architects who have worked with the palace the most, is John Nash and Edward More. The last major extensions were carried out in the late 1800s. The interior dates back to the 1800s and much has been preserved from that time. Several small rooms are furnished in Chinese style. The Chinese imperial style came during Vilhem IV's time - with both ornaments and furniture. Inside the castle you will find art of Rembrandt, Van Dyck, Rubens and Vermeer. 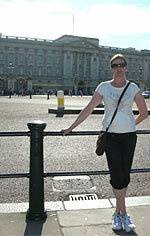 Discover Buckingham Palace with audio-guide for a few hours. See where the Queen of England lives and works. Were she receives visits from all over the world the so called State Rooms. You will also see beautiful furniture, fantastic rooms, china, paintings, beautiful dresses etc. After the visit relax in the garden café. Only open to the public for approx 2 months (22 Jul - 29 Sep 2019). Are you interested in the change of guards. Be there in time if you want to see the change. 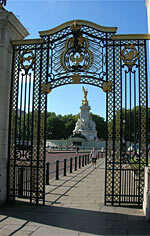 Behind Buckingham Palace is the largest privately-owned park in London (perhaps not surprising that it is here ...). The park has an artificial lake and several artworks. The most famous work of art is perhaps the big urn "Waterloo Wase". It was Napoleon who created this urn in memory of all his conquests. After the loss at Waterloo it came in the Englishman's possession and George IV completed the urn to today's appearance. In 2002 the Queen invited, for the first time, the public to her garden. 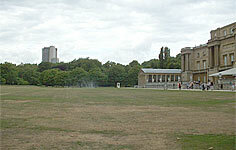 Several major events have been held in the park, among others Prom Of The Palace. 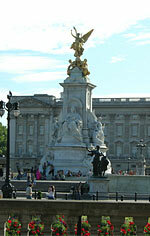 Discover Buckingham Palace with audio-guide for a few hours. See where the Queen of England lives and works. Were she receives visits from all over the world. You will also see beautiful furniture, fantastic rooms, china, paintings, beautiful dresses etc. Tthis ticket is included with " Afternoon Tea". After your audio tour, leave the palace and join back up with your host. Enjoy a stroll through the beautiful St James's Park to a nearby hotel, where you'll enjoy afternoon tea. You meet your tour host at the prearranged location in central London. 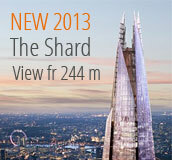 Only open to the public for approx 2 months. Mid July-Sep 2019. The famous balcony on the east wing where the royal family meet the crowds was built around 1847 when Queen Victoria found that the palace was too small for the court and her family. Nominations take place in the palace in the Victorian ballroom which was built 1854. Here is among others nominations of knights with dubbing with swords. As the Queen, when dubbing nominations, she stands on a throne raised in a giant dome-shaped velvet baldachin, known as Shamiana. The Beatles have been awarded in the castle. During World War II, the palace was bombed seven times. The Nazis wanted to destroy Buckingham Palace to lower the British fighting spirit. 1981 three German tourists camped in the palace garden. They had climbed over the barbed wire bearing walls and thought they were in Hyde Park. There have been many things both inside and outside the castle, which has passed beyond the security checkpoints. But the most incredible is probably "The Cotton Boy". It was in 1837 as a twelve-year old boy managed to keep away and stay for a whole year in the castle without being detected. He hid in the chimneys and dirtied the beds he slept in. Finally he was arrested in December 1838. 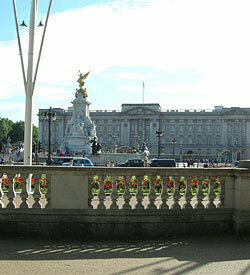 Buckingham Palace is one of the world's most famous buildings. The public can visit the castle's west wing during August and September when the Queen is not in London. The Queen receives in various parts of the palace according to the purpose. In November each year the Queen invites the foreign diplomatic force in London. At these occasions all representation rooms are used throughout the castle. 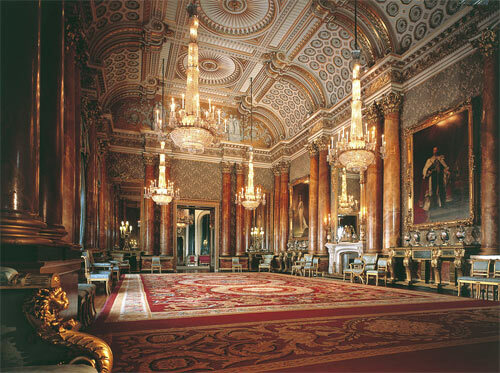 When the Queen has lunch receptions, these take place in the domed music auditorium or in the state dining room, and when a new ambassador has been elected they are allowed into the so-called 1844-room.